More flash drives will be added soon as lots of players would like tons of lessons for specific instruments and have no real interest in others.....so, I'll make more choices available. 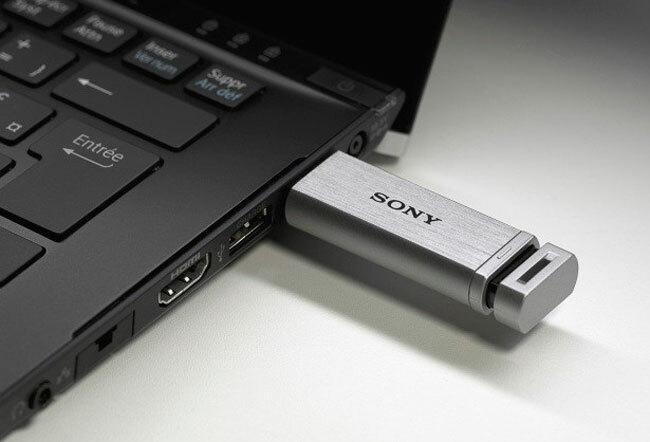 MAC 64 GB FLASH DRIVE $95.00 WILL PLAY PERFECTLY ON YOUR PC TOO! WORKS ON QUICKTIME, REAL MEDIA PLAYER, REAL PLAYER AND MANY OTHER PROGRAMS. SO, NOT JUST FOR MAC USERS. CONTAINS LESSONS 1-91 LISTED AT THE BOTTOM OF THE PAGE. EVERY LESSON I'VE EVER MADE IS ALSO SENT TO YOU AS A DOWNLOAD...SO YOU CAN SIMPLY DOWNLOAD THE LESSONS AFTER #91 AND HAVE THEM ALL. WITH SO MANY LESSONS, THIS WAS BOUND TO FILL UP. I WILL GO TO 128GB FLASH DRIVES AND INCLUDE ALL LESSONS ON THE FLASH DRIVE AGAIN AS SOON AS THOSE DRIVES BECOME AFFORDABLE. MAC 64 GB FLASH DRIVE $95.00 WILL PLAY PERFECTLY ON YOUR PC TOO! WORKS ON QUICKTIME, REAL MEDIA PLAYER, REAL PLAYER AND MANY OTHER PROGRAMS. SO, NOT JUST FOR MAC USERS. THESE 64GB FLASH DRIVES ARE FULL...SO, WHEN NEW LESSONS ARE RELEASED, WE WILL HAVE TO SAY GOODBYE TO THIS PACKAGE AND THE ONLY WAY TO GET EVERY SINGLE LESSON POSSIBLE WILL BE ON THE EXTERNAL HARD DRIVES. I'LL KEEP YOU POSTED ON WHEN THAT TIME COMES...UNTIL THEN, SNAG THESE UP WHILE YOU CAN. BRANDS OF FLASH DRIVES CHANGE SIMPLY DUE TO WHAT IS AVAILABLE OUT THERE WITHOUT COSTING EITHER ONE OF US AN ARM AND A LEG. 200 HOURS OF LESSONS ON THIS DRIVE! ELECTRIC ROCK & BLUES / ACOUSTIC GUITAR SUPER PACK! ELECTRIC AND ACOUSTIC GUITAR 32 GB FLASH DRIVE SPECIAL MPEG4 FORMAT, FOR PLAY ON BOTH MAC AND PC. Here I go again, trying to find more ways to save you some huge money. I've done it up big time on this one! I'm offering a ton of my Electric and Acoustic guitar videos on this 32 GB flash drive. Cramming it to capacity. The only way to do that is to use the MAC (MPEG4 or MP4) format. These will work on PCs every bit as well. Your PC comes with the software already installed to play these. If you've deleted them for some reason, the programs are all FREE to download and play the videos. They will play with Quicktime, Real Player, Easy Media Player and many more. So, no worries at all. Below is a list of all of the videos from my site that you will receive on the Flash Drive. Each title is linked to the full description and a video intro to each of the lessons. Some may take a short time to load up since the links are simply taking you to where they are located throughout the site and some are on SUPER HUGE pages. So, the biggest bang for your buck here for the guitarists that don't want to learn too much country and have no need or desire to learn all of the other instruments that I teach. Just pure GUITAR, nothing but GUITAR and great lessons to take you from beginner to the big stage. Here are the titles of the videos. LICKS AND TRICKS FOR POSERS 30 BACKING JAM TRACKS ALSO INCLUDED ! COUNTRY GUITAR FLASH DRIVE SPECIAL ! So, for the price of of just one private lesson with a cut rate music store teacher, you will get over 40 hours of country rhythm and lead guitar like nobody else can teach it to you. This is one deal you can't afford to pass up. Available for PC (wmv videos) or MAC (MPEG4 - MP4 videos). Quite simply, you get every country guitar video I've put out on a handy 32 GB flash drive that is small enough to carry around in your pocket and take anywhere. This special contains all of my country "ARTIST" series videos which contain songs from the following artists: (links may take a short time to take you to the video's description and video preview). Those links will take you to each video and show you the entire track listing. I teach you all of the acoustic rhythm guitar parts of the songs (from the REAL recordings) and every single lead guitar note on electric guitar. They are very thorough and no stone is left unturned. THE EVER POPULAR EXTERNAL HARD DRIVE! THIS WILL ALWAYS CONTAIN EVERY SINGLE LESSON THAT I OFFER AND THE PRICE WILL REMAIN THE SAME AS I CONTINUE TO OFFER NEW LESSONS! THIS IS THE ONE PRODUCT THAT IS EVER CHANGING, ALWAYS CURRENT AND HAS BEEN THE FOUNDATION ITEM HERE AT GROOVY MUSIC LESSONS. 160GB EXTERNAL HARD DRIVE! PRELOADED WITH EVERY LESSON I'VE EVER MADE, AND BACKING TRACKS. FOR PC USERS. PLEASE SPECIFY IF YOU WANT THE MAC VERSION OR THE PC VERSION WILL BE SENT TO YOU BY DEFAULT. CHECK THE LIST AT THE BOTTOM OF THE PAGE FOR ALL OF THE GREAT LESSONS ON HERE. THIS IS THE HOTTEST DEAL GOING IN MUSIC LESSONS ANYWHERE! $135.00 + $6.00 SHIPPING. BRANDS OF HARD DRIVES CHANGE SIMPLY DUE TO WHAT IS AVAILABLE OUT THERE WITHOUT COSTING EITHER ONE OF US AN ARM AND A LEG. IF 160GB HARD DRIVES ARE NOT AVAILABLE WHEN I ORDER THEM, I ALWAYS ORDER DRIVES WITH LARGER CAPACITY. I'LL NEVER CHEAT YOU WITH A SMALLER DRIVE. NEW DRIVES COMING SOON FOR ALL OF YOU WHO HAVE BEEN REQUESTING MORE LESSONS ON YOUR PARTICULAR INSTRUMENTS!